It’s hard to reconcile the fourth Christa Couture album with its accompanying press release; if you’ve read about her personal history and you know that this is a break-up album, then you could be forgiven for expecting Leonard Cohen meets Jackson Browne, but “Long Time Leaving” certainly doesn’t fit that mould. Lyrically, it’s a very honest portrayal of a breakup, tapping in to all aspects of the end of a relationship, including the opportunities for experimentation presented to the newly-uncoupled. Even when a song’s subject matter’s dark, the musical arrangements can be quite upbeat, even jaunty, with an eclectic mix of musical stylings and a clear, intimate vocal hinting at early Joni Mitchell and Tori Amos. The musicianship is superb throughout the album; Gary Craig (drums) and John Dymond (basses) along with producer Steve Dawson (guitars and keys) with a guest appearance from renowned Nashville fiddler Fats Kaplin, shift seamlessly from style to style as they build an evocative backdrop for Christa’s vocals. “Zookeeper” is a perfect example of this; the arrangement builds around a heavily reverbed guitar to create a dramatic, doom-laden setting for a song portraying a couple’s counsellor as a zookeeper forcing them to face up to the wild animals that symbolise the reasons for their breakup. 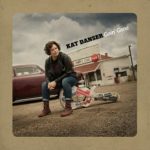 “Alone in This” is pure Nashville, with pedal steel throughout, topped off with a beautiful solo, while “Lovely Like You” bounces along with help of Fats Kaplin’s fiddle fills and the call and response between fiddle, vocals and slide resonator. These are all elements that you wouldn’t be surprised to find on any Americana record, but there’s a joker in the pack as well. There are occasional flashes of musical theatre breaking through in the instrumental arrangements and the vocal delivery. In the lines ‘The hallways are lined with boxes neatly stacked/this is what eight years looks like packed’ that open “Separation/Agreement”, there’s a one-beat pause before ‘packed’ that’s pure theatre, and it’s perfect. 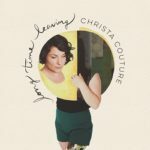 “Long Time Leaving” pulls together widely varying musical styles linked by Christa Couture’s fluty voice, inventive lyrics and tales of the aftermath of a breakup. One of her aims was to make an album to accompany doing housework and she’s actually managed to make it work. With a few exceptions, the music is catchy, packed with hooks and upbeat, while Christa avoids the obvious pitfalls of the subject matter by steering clear of the blame culture and exploring areas like binge drinking and sexual experimentation. It’s an intriguing roller-coaster of an album and when you step off at the end of the ride, you’ll feel exhilarated and uplifted. You’ll probably get through the ironing twice as quickly as well. “Long Time Leaving” is released on Black Hen Music (BHCD0079) on Friday May 20th.